I will take any excuse to eat caramel. Caramel is the most perfect dessert condiment/filling/topping of them all, regardless of the vehicle. Frankly, I’d put it on a taco if it wouldn’t result in utter self loathing and one hellacious tummy ache. Yet in putting together the new and improved nomadwithcookies.com, I noticed the blog was severely and inexcusably devoid of caramel. How on earth could this be? I used it waaaaay back in the day as a layer in a pumpkin ginger caramel cake, and gave it a supporting role in a lovely pineapple upside down yogurt cake. But, really? That’s it? Caramel is completely irreplaceable, and holds a special place in my heart. I use it as a lubrication for my joints. It cures ear aches and migraines. It makes wrinkles disappear. And it sets broken bones! Well, not really, but it is really super tasty. Like super hero tasty. Plus, it’s versatile, easy to make, and as inexpensive as, say, a bag of sugar. 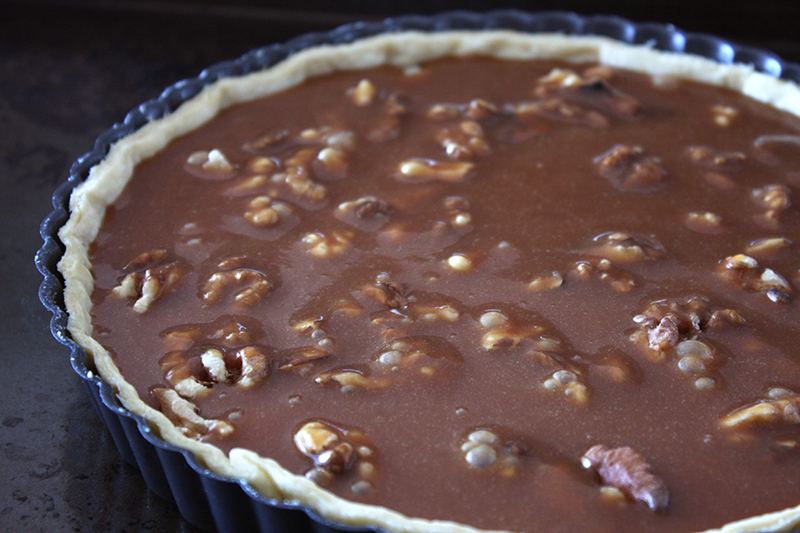 Even though caramel is pure heaven when it soaks a cake or is drizzled over ice cream, today we are making a tart. 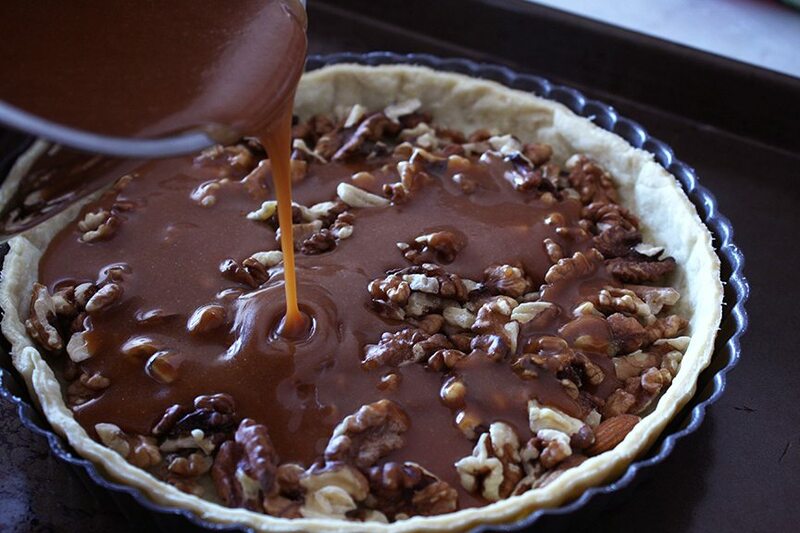 We start by making a tender pastry crust, then we’ll fill it with luscious salted caramel and walnuts. Then we’ll put another layer of pastry on top of the caramel. Think of it as a floating buttery island for the caramel to bubble up around. There is a lot of butter involved. But don’t worry, you can have a salad later. Get step-by-step photos of this recipe on the Facebook page. Since we’ll be working with caramel today, might I recommend you take a gander at these Caramel Do’s and Don’ts, because I care about you deeply. This caramel filling recipe makes a wee bit more than you’ll need for a 9″ tart, so feel free to store it in your fridge for a rainy day or midnight snack. YOU’RE WELCOME. Since the filling will be plenty sweet, we are using Pâte Brisée, a non-sweet dough. Since there is practically no sugar in the dough, it will not turn golden brown as with more sugary doughs. 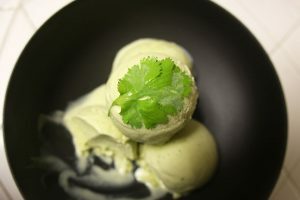 It will stay a light pale color, but will get bubbly, tender and flaky. Add the cold butter. 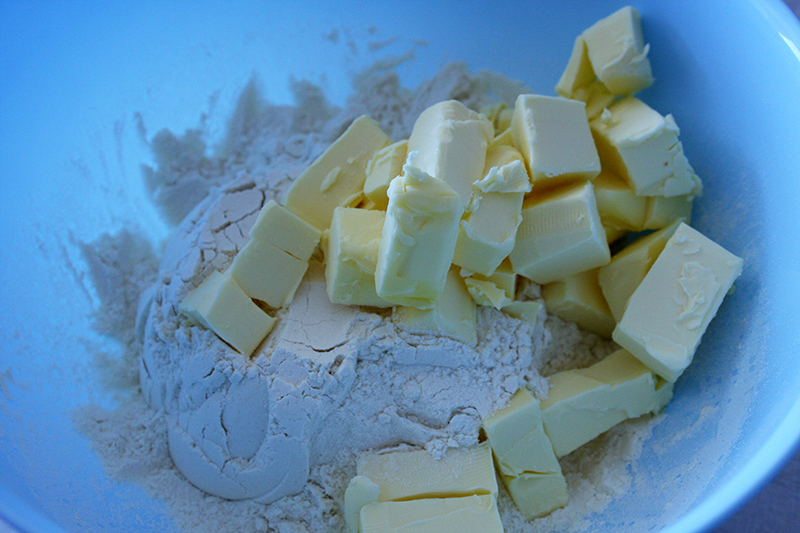 Using your fingers, rub the butter into the flour to break it up until there are no more large pieces of butter and mixture resembles small peas. And yes, you can use a mixer for this. But, as always, I will herald that using your phalanges, like people did before Kitchen Aid existed, makes a flakier crust. Add most, but not all, of the water. Gently mix to distribute the water. You will only need to add enough water for the dough to come together when pressed. As humidity differs depending on where you are in the world, you may need less or more water. Wrap dough in plastic wrap and place in the fridge. Chill for 1 hour. Grease a tart pan/shell/ring with butter. On a lightly floured surface, cut off 1/3 of the dough and return it to the fridge. 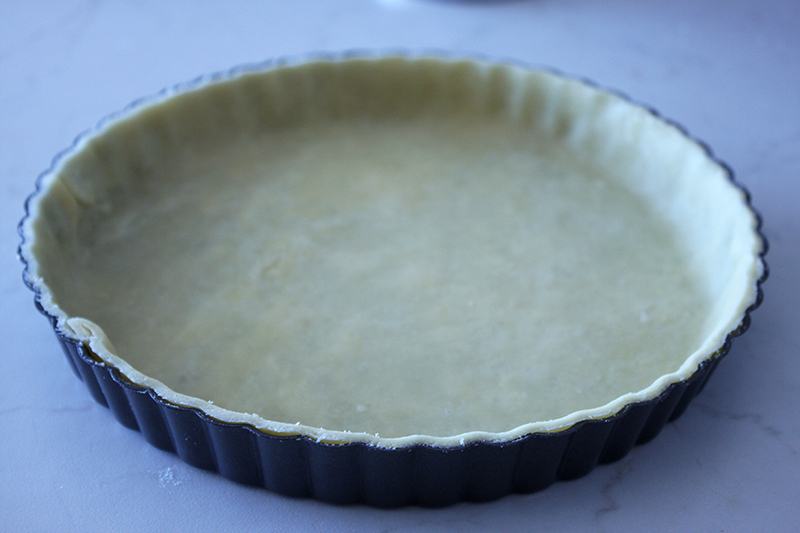 Roll out the 2/3 of the remaining dough to 1/4″ thick in the approximate shape of your tart pan/shell/ring. Gently shape the dough into the tart shell without stretching it. Trim off most of the excess dough, but not all. Return to fridge and chill for 15m. Preheat oven to 325F (162C). Remove tart shell. With a paring knife, trim the remaining excess dough so that the edge of the dough is flush with the tart pan/shell/ring. Gently press along the inside wall of the tart, slowly moving around the edge of the tart. This will push a small amount of the dough up above the rim. Chill for 5 more minutes. We are going to pre-bake the crust before we fill it with caramel. We do this for two reasons. One, the caramel will be warm when we add it to the tart shell. If we were to add hot caramel to a raw pastry crust, it would melt the dough giving us a greasy, sorry excuse for a tart shell. So it’s best to start with a fully baked shell. 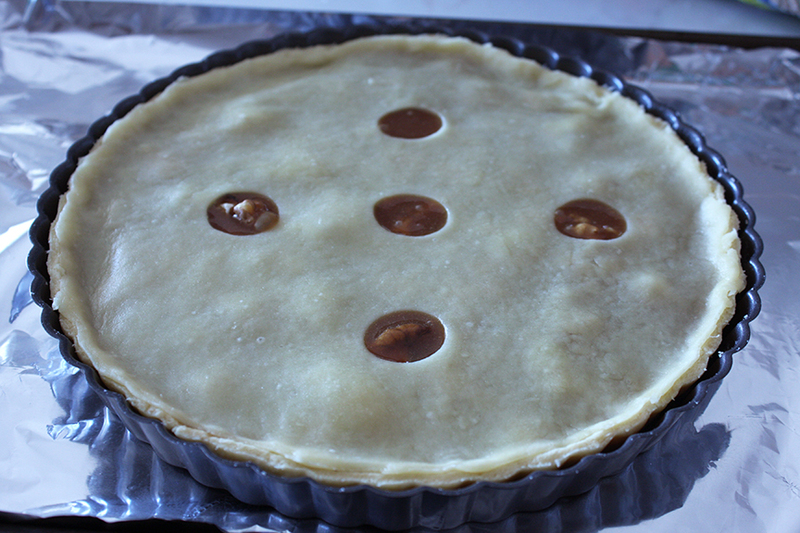 Second, the caramel tart will not bake long enough to thoroughly cook the tart shell. To prebake the shell, first line the inside of tart shell gently with parchment paper (or foil if you fail to realize you are out of parchment paper like me). Fill the parchment paper with uncooked rice or beans. These will serve as weights to hold down the parchment and shield the dough so that it does not brown too quickly. P.S. 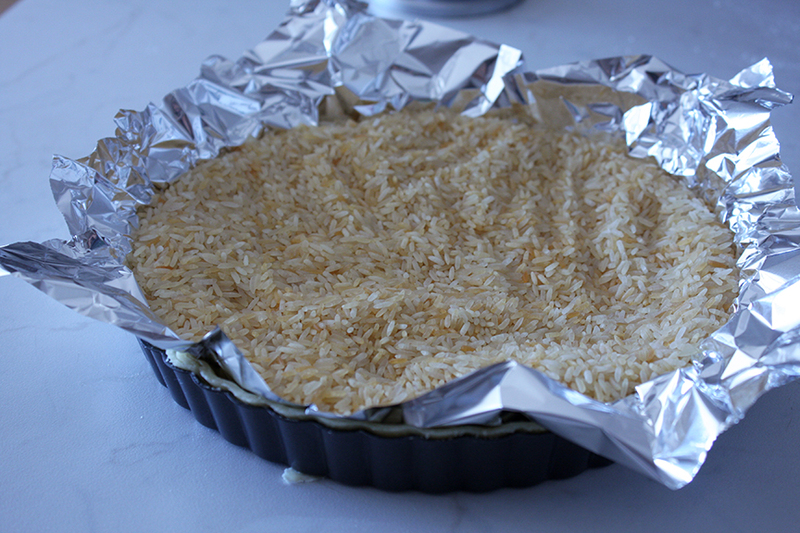 I reuse the same rice over and over again, which is why it looks a little golden. Just store it in a jar or zip top bag. 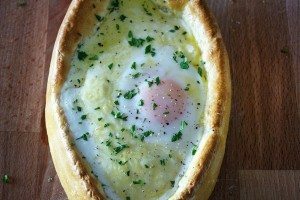 Bake tart for 25-30m (depending on the size of your pan/shell/ring), until dough is cooked through on the edges, but not brown. Gently remove the parchment and weights. Return to oven for another 6-7m. Remove and let cool. While it is baking, roll out the remaining dough to 1/8″ thickness (half as thick as the tart shell) in the approximate shape of your tart. This will be the top of our tart. Cut out shapes, if you wish. Place on parchment lined cookie sheet and place in fridge to chill. Next, make the caramel. Put sugar in a small pot with high sides. Add just enough water to wet it. Stir to combine. Turn heat to medium high. As the pot heats up, stir sugar so that it melts evenly. Once sugar begins to boil, stopping stirring. After 10-15m, the sugar will begin to caramelize. 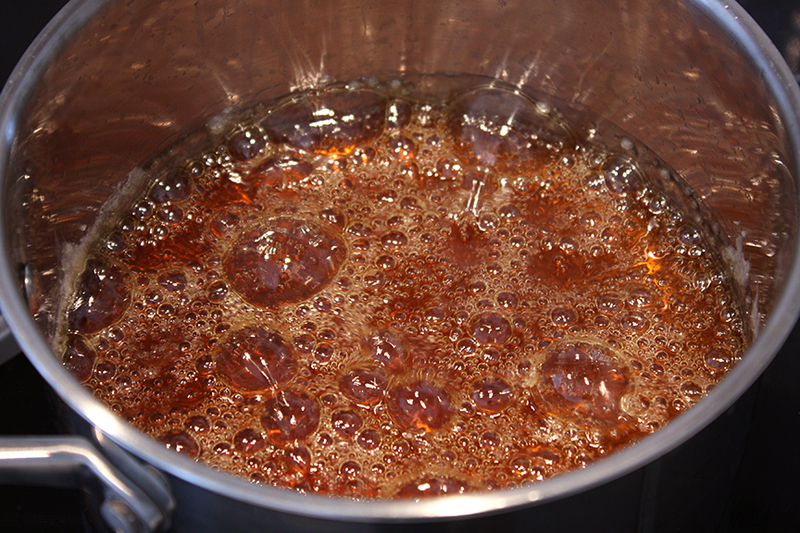 Once the sugar has reached a dark amber color, remove from heat and slowly add the heavy cream, whisking continuously. It will bubble and boil furiously. This is normal. After the cream is incorporated, whisk in the salt. Return pan to stove over low heat. Then start adding the butter, a small piece at a time, whisking continuously until all butter is in and caramel is smooth and creamy. For more photos of how to make the caramel filling, check out the Facebook page. Spread walnuts on bottom of tart shell in even layer. Pour caramel filling over walnuts in circular motion to fill all the crevices. Caramel should come to 1/2″ from the top. 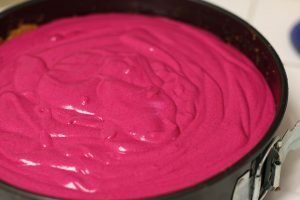 If you fill the tart too high, it will merely bubble over a bit in the oven. This is not a big deal. 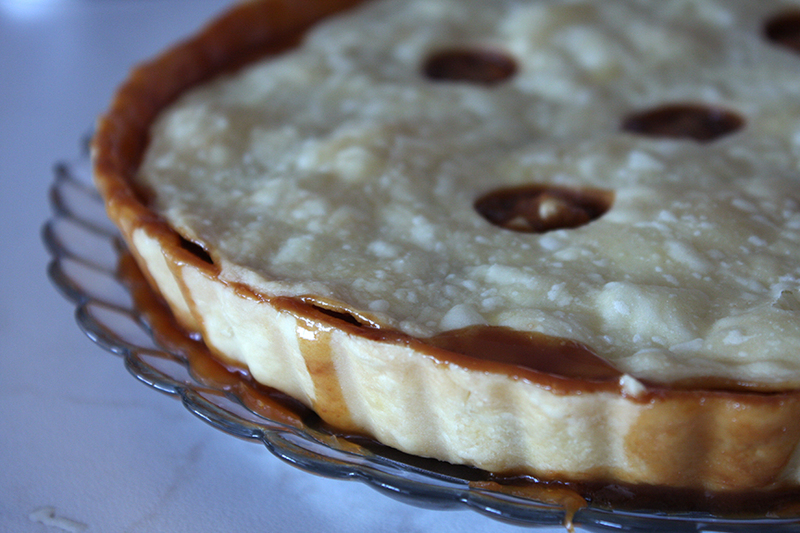 It just means that the tart will have caramel both on the inside and the outside of the tart. 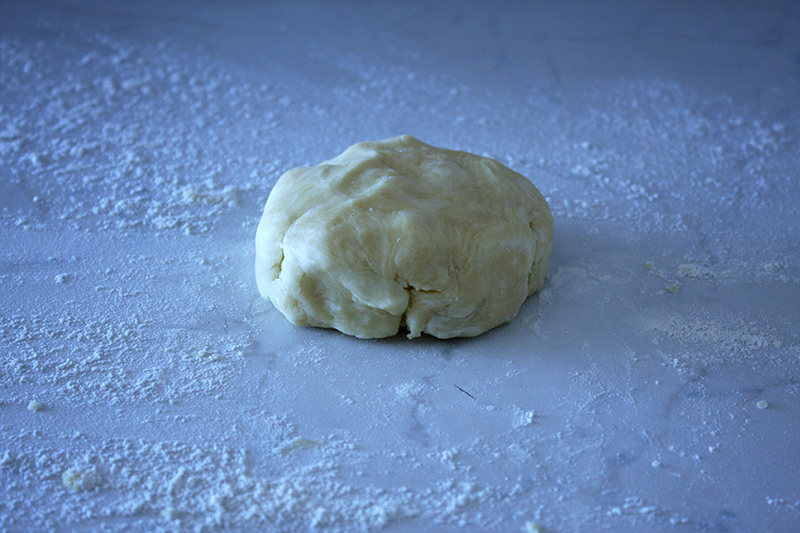 Remove top layer of pastry dough from fridge. Place on top of the caramel filling. 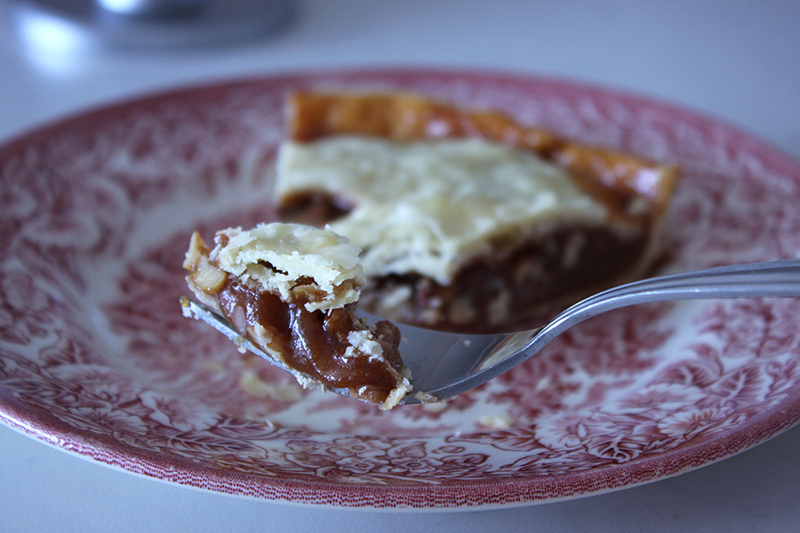 Use a paring knife to remove any excess along the tart’s edge. Pinch dough around the edges to seal. 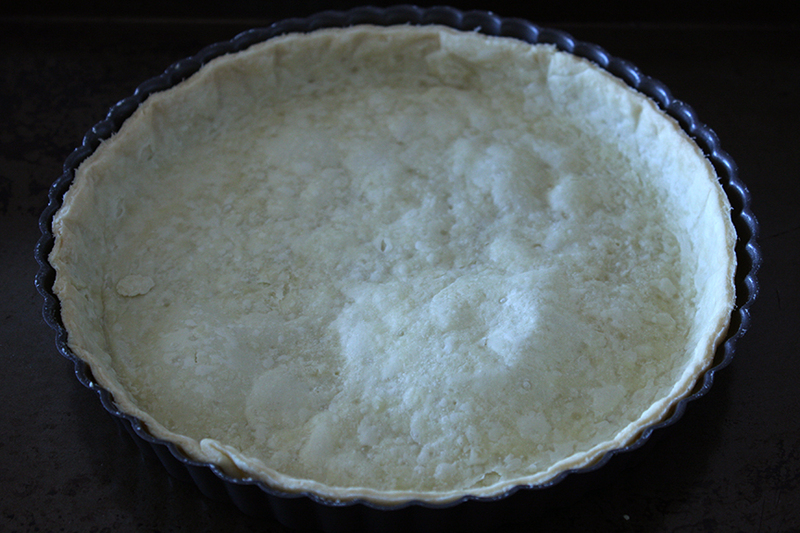 Bake tart for 15-20m until top of tart is baked through, bubbly and flaky. Remove and let cool. Do not refrigerate unless you aren’t a fan of your teeth. This lovely tart will be perfectly fine sitting on the counter. To cut, use a hot knife. To heat a knife, run it under hot water than pat dry.